The word is out: store-bought soda isn’t great for your health, and there has been a surge in popularity for better, less sugary alternatives. Thanks to innovation, we now have a number of useful solutions at our fingertips that not only satisfy our taste for fizzy drinks, but also give us the added bonus of flavor creativity and on-demand convenience. Here are some of the best home sparkling water makers you may want to consider adding to your kitchen arsenal. Just like a malt shop from the 1950’s, this carbonator looks and acts like your own private soda fountain. A premium model of SodaStream, the KitchenAid™ Sparkling Beverage Maker is made with die cast metal, BPA-free plastic bottle, and a soft-grip carbonation lever to customize your level of fizz. Also included is a 3-flavor starter pack and one 60L CO2 cylinder. If you’re looking for utility and retro flair, this USA-made bubble maker is your best bet. Available in Silver, Slate, Red, and Black. With a sleek and modern design, this carbonator is a great addition to any kitchen countertop, especially one with minimal real estate. 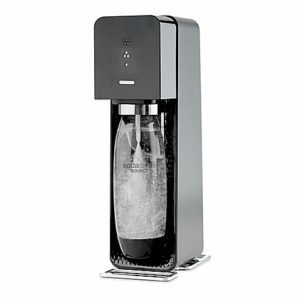 Battery-free and easy to clean, the SodaStream Jet is the perfect entry point for making custom sparkling water blends. Starter kit includes BPA-free plastic bottle, one mini CO2 cylinder, and a 2 year warranty. Portable and practical, the Soda Plus carbonator is useful for a multitude of beverage applications. The Soda Plus features a stainless steel bottle, integrated pressure gauge to customize your carbonation level, and an a as well as a one serving design that fits small, 8 gram cartridges, which can be found much more commonly than larger proprietary cylinders. Let your creativity run free: this unit will make bubbles with water, wine, even apple cider! 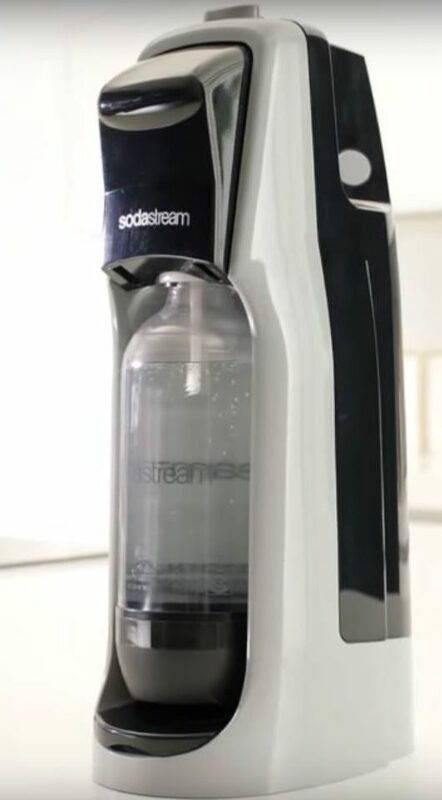 Another gem by SodaStream, this is one of only two carbonators available with a glass carafe instead of the usual plastic bottles. No batteries, no electricity, nothing extra needed except cold water to power, with two carbonation levels. 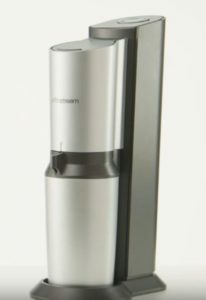 The SodaStream Crystal includes one glass carafe and 60L CO2 cylinder, and is backed by a 2-year warranty. Y’know, just in case. Available in Black or Silver. 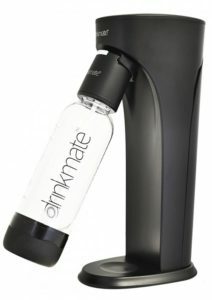 The DrinkMate is another intelligently designed carbonator with a minimal footprint and maximum utility. With a patented “Fizz Infuser” to control pressure level, this carbonator boasts the ability to add fizz to anything, from juice and apple cider to wine and flat soda…even flat beer! 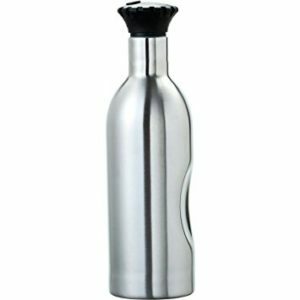 Kit includes carbonator, BPA-free plastic bottle, and 3-ounce cylinder interchangeable with SodaStream cylinders. Like the rest, the DrinkMate is power and electricity-free. Available in Black, White, or Red. One of the most popular carbonators available today, the SodaStream Source is simple, elegant, and exceedingly easy to use. Designed by prominent designer and social entrepreneur Yves Behar, the Source features a push-down carbonation lever, simple mechanism for locking bottle in place, and LED indicator light, all while remaining battery and electricity-free. Kit includes sparkling water maker, 1L BPA-free plastic bottle, and mini, 30L, or 60L cylinder, depending on kit. And with a limited lifetime warranty, you really can’t go wrong. Available in Black, White, or Red.